…The Hill isn’t a typical story of survival in the wilderness. The boys do need to fend for themselves, but there’s something far more sinister than wild animals and the elements in the forest – Jared and Kyle are being pursued by a Wihtiko, a Cree legend come to terrifying life. The pair need to learn to work together and overcome their differences in order to survive. The dynamics between the two were really interesting – they’re complete opposites and have nothing in common, but in a very short time and under extreme circumstances, they forge a strong bond. Jared especially learns a lot about himself through Kyle, which was interesting to see. The Hill was different from anything I’ve ever read. I loved that it was written by a Canadian author, set in Canada, and used a real Cree legend. I was also really happy to see a main character who was Native. This is so (unfortunately) rare that it actually made me ridiculously excited! 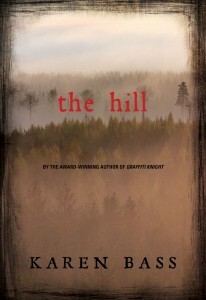 The Hill is a creepy, paranormal twist on a survival story. 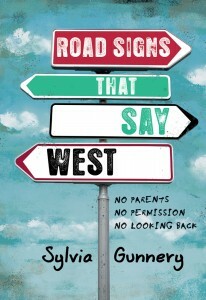 It has great messages about privilege, stereotypes, and friendship. I’d particularly recommend it to fans of the TV show Supernatural – the Wihtiko is similar to the Wendigo, which Sam and Dean fought in season one.